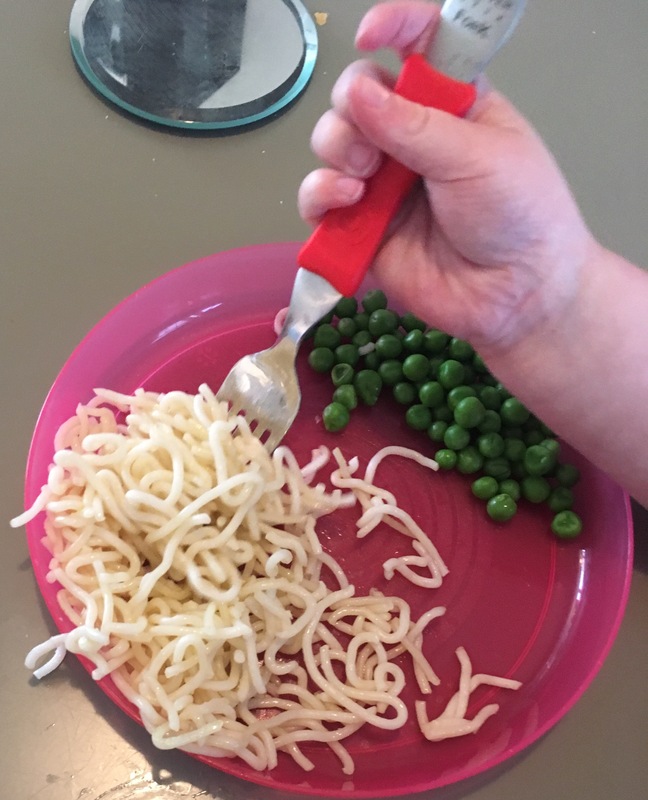 My kids absolutely love spaghetti, pasta and noodles but eating them (without too much mess!) has been a bit of a challenge. So this week we were kindly sent the CleverstiX Fork & Spoon set and the CleverstiX Chopsticks to try out. Fantastic implements for developing fine motor skills, making children feel grown up and bringing fun to meal times! Comfy- The kids said that the fork and spoon were particularly comfy to hold, with their soft handles. 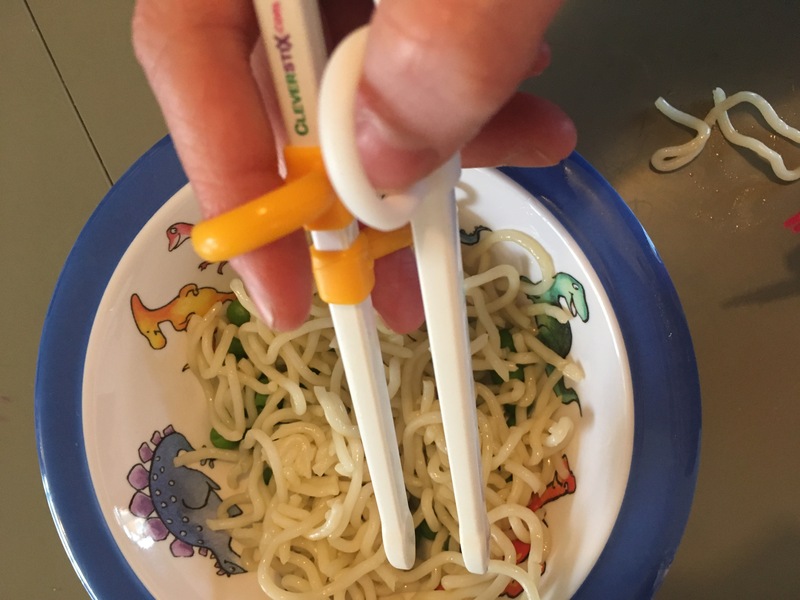 Develop Fine Motor Skills- I was very impressed with the Cleverstix chop sticks. They have specific places for a child’s fingers and thumbs to go to help them get used to correct pencil grip and develop their fine motor skills. Genius idea! 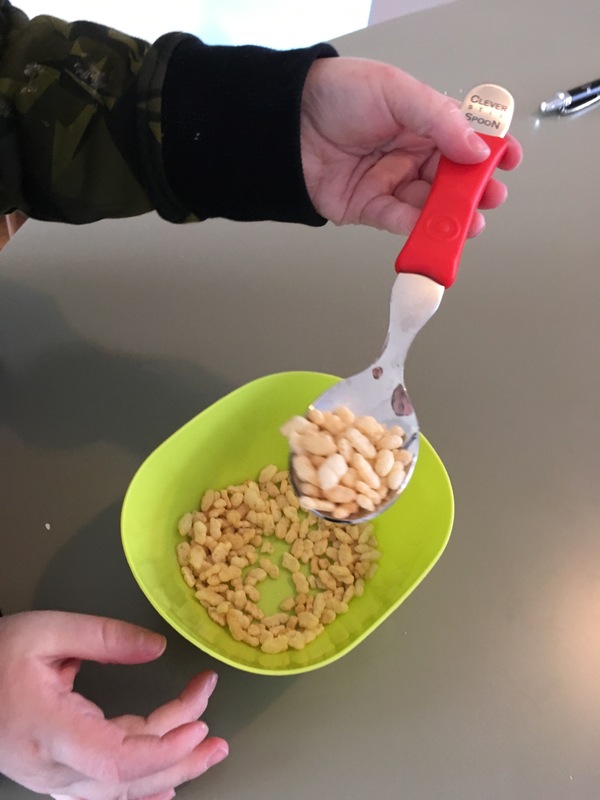 Grown up- The fork and spoon are fantastic as they look like adult cutlery (always a bonus for kids!) but are slightly smaller, comfier to hold and not as sharp. 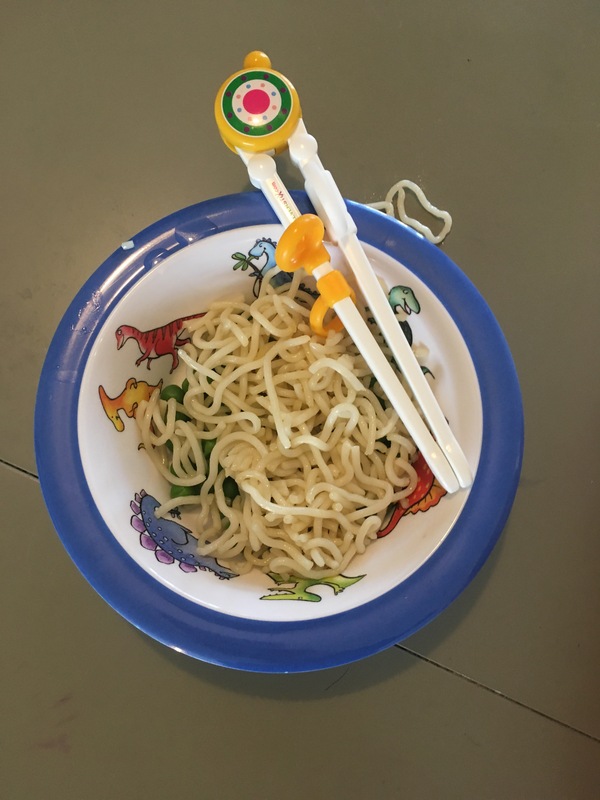 And if someone had told me last week that my children would be eating noodles with chop sticks today, I wouldn’t have believed them! They loved using them and feeling like adults! 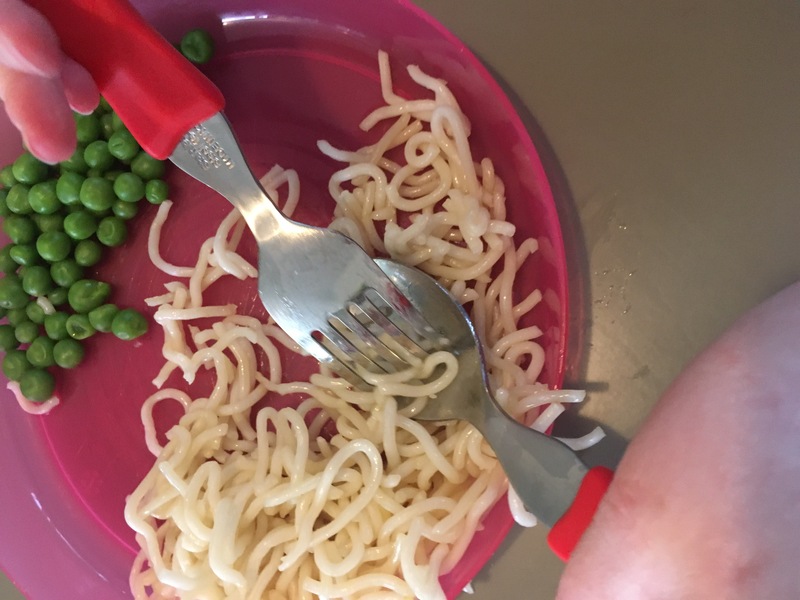 Safety & Quality- The prongs of the fork are curved, making them less sharp and much safer for little mouths. Both sets are really high quality and dishwasher proof. Fun! Perhaps most importantly, they are fun to use! Especially the chop sticks! The are fantastic incentives to encourage children to try new foods, stay at the table longer and enjoy mealtimes. That’s lovely to hear! Hope your family enjoy them!